Today I pieced the top of my Bargello Block quilt. I have the borders cut but didn’t get them on yet. Here is what it looks like so far. The setting triangles are a very dark blue, but the borders will pull out the shades of blue in the quilt. The colors are more accurate in the block picture since I scanned the block. The quilt picture was taken at night and the colors don’t come out quite right. This line of fabrics was out last year or the year before and I had a yard of each of these fabrics except for the one with the lines on it. I found that last week at Quilters Haven in Olathe, KS with the Asian fabrics! But it was just the right color and I love the stars made out of dashed lines. This is not as good a picture of the quilt but it does have my dog, Rockie, a yellow lab, peaking out from behind the quilt! LOL He has to get in on every picture we take. I can’t tell you how many times I have cropped him out of pictures I have taken of quilts! I have been working on two different Block of the Month designs today as well. I am designing one for my guild that starts this summer. I wanted to do a pieced BOM since the last 3 have been appliqué. 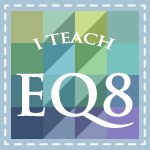 I have been playing around with color schemes in EQ6 and have 4 different layouts that I am thinking about. Here they are. . .still in very rough shape, but they are starting to take shape. If you have a preference about which one you like, leave a comment and let me know which one you think looks best. 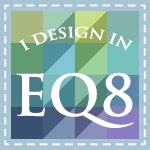 I’ll draw a name from all the comments and send you a set of FQ’s for helping me out with my design! And don’t forget I will be ending the Midnight Posies BOM on January 18 and introducing the new BOM for 2010. Here is another little sneak peak. I just can’t wait to share this with you. Would you prefer to see it all at once, like Midnight Posies? Or would you prefer to just get it a block at a time, like a Mystery Quilt? Let me know what you prefer. Thanks for your feedback. Actually I was overwhelmed by the feedback I got on my Midnight Posies offer of sending out the templates for the flower vine border! I have sent out a LOT of templates and have been so touched by the many complimentary comments you have had about the pattern. (And thanks for the birthday wishes too!!!) I can’t wait to share the new BOM with you next week!! I am also quilting a table runner I designed but I will post that next time as I forgot to take a picture of it. Oh well. . .till next time. 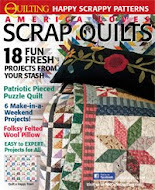 Your bargello quilt is lovely!!! I absolutly love your bargello! I really like #1 of Jewels in the Crown. But of course it has similar colors of the last BOM. I also like the bargello block quilt. I just might be able to do one like that. Great creativity. Lovely bargello quilt! As to the Jewels of the Crown BOM, I really like the first one, as the gold makes the jewel tones sparkle; but the one I like the most is #3 with the added details and the shading of the colors. Tulips are of my favorite flowers, can't wait for the BOM! The blue dots/ ornaments on white is a nice lace effect in the bargello. I like you BOM design because each block has about the same number of pieces...a good balance! How about for your guild's BOM you give them a grayscale pattern and let them pick their own colors? Of the four pictures of your next block a month, I like the one with the white borders the best. It has a lighter feel to it and those nice open spaces in the border could have a little applique in them. i would love to see the whole quilt, so i can get an idea, of everything color wise, and size, and know what i'm doing.